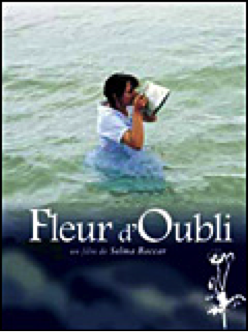 Selma Baccar’s film Fleur d’Oubli, also known as Khockkhack, tells the story of a young, wealthy and beautiful Tunisian woman in the 1930’s. The main character, Zakia, marries Si Mokhtar, a wealthy suitor. The marriage does not proceed happily for long, as Zakia starts to realize Si is sexually involved with the male servant Jaafar. Zakia is disappointed, as she desperately wanted children, and unsuccessfully seeks solace from her husband’s mother. Zakia becomes pregnant regardless, and the childbirth of her daughter is especially difficult. She accepts poppy tea as pain reliever and becomes immediately addicted to opiates. Zakia neglects her daughter and uses her daughter as payment to gain a suspicious suitor with a large poppy supply. After hitting rock bottom, she weathers withdrawal at an asylum. During this time, Zakia becomes involved with another inmate, Khemias. Only after approaching insanity, Zakia is eventually able to come to terms with her difficult past and accept her failed marriage. Rinheiro, Kristen. "Tunisian Filmmaker Selma Baccar." Goucher College. 9 Feb. 2009. Weissberg, Jay. "Flower Of Oblivion." Variety. 20 Dec. 2006. "Flower of Oblivion." MUBI. 2008. Martin, Florence. Screens and Veils: Maghrebi Women’s Cinema. Bloomington: Indiana UP, 2011. Print. Gauch, Suzanne. Maghrebs in Motion: North African Cinema in Nine Movements. , 2015. Print. Nelmes, Jill, and Jule Selbo, eds. Women Screenwriters: An International Guide. Palgrave Macmillan, 2015. Print.